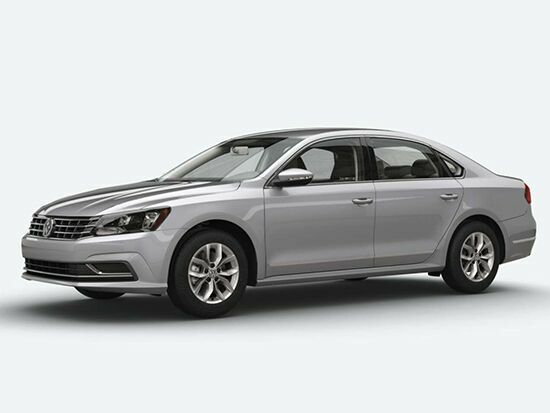 The 2017 Volkswagen Passat combines a number of elements to continually be among the strongest entries into the midsize sedan class of the automotive industry. Competitors continually try to combine German engineering with the space and features found with the 2017 Passat. More often than not, those models fall short. Above all, the new 2017 VW Passat is built to serve its owners with loads of convenience. A large trunk, roomy backseat and one of the quietest passenger cabins on the market. Such is the quality of the 2017 Volkswagen Passat that the automaker has made very few changes for the model year. Among the most noteworthy changes to this year’s Passat include a fairly intensive reshuffling of features. Volkswagen has eliminated the SEL trim grade for the 2017 Passat which has redistributed its equipment to more of the remaining models. Government crash testing scores for the 2017 Passat are as high as can be found in the class. The NHTSA gave the midsize sedan five stars. 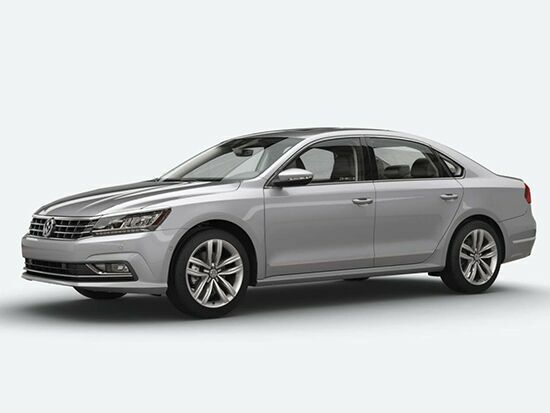 Owners of the 2017 Volkswagen Passat don’t have to choose between performance and efficiency. 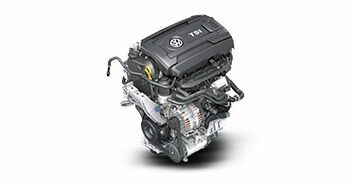 Both the turbocharged, 1.8-liter, four-cylinder engine and the available 3.6-liter, V-6 upgrade offer excellent scores in both categories. The 1.8-L engine has a zero-to-60 mph time of less than 8 seconds, a quick time for the class and the V-6 comes in at 6.4 seconds, also a respectable time. Combined fuel scores for engines are 27 mpg and 23 mpg, respectively. 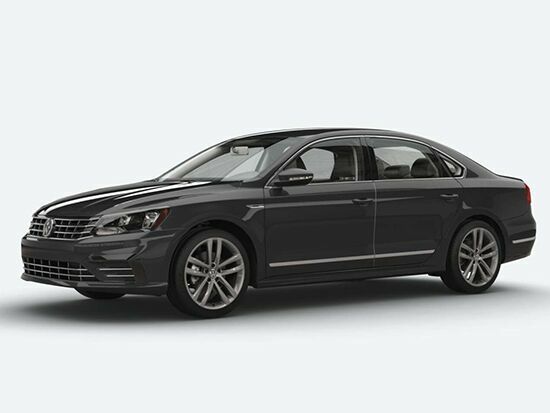 The technology available with the 2017 Volkswagen Passat is some of the most advanced in the entire automotive industry. Owners of the new VW midsize sedan can connect their smartphones to the automaker’s Car-Net infotainment system which allows the available touchscreen to act as a mirror image of the phone and allows for the manipulation of the applications. The same system also supports USB ports, an available premium sound system and active safety systems. Owners can also use Bluetooth for media streaming. One of the first things first-time observers notice about the 2017 Volkswagen Passat is its massive trunk. There are almost no other competitors which can match the 15.9 cubic-feet of cargo space available in the trunk of the 2017 Passat. That space can be further expanded with a folding 60/40 rear bench seat. 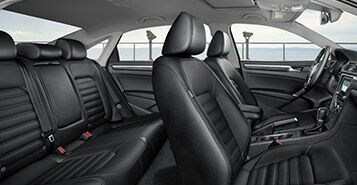 Speaking of those back seats, even the tallest passengers will be comfortable riding back there as they would in any other position of the 2017 VW Passat.